Ok, another not very exciting photo I know. But I’m doing my best – bear with me . 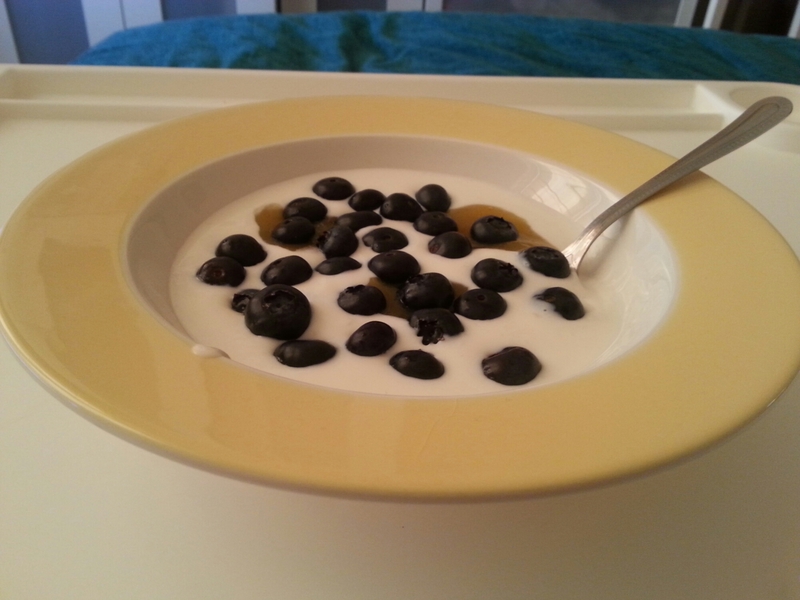 . .
Today I’m grateful for enjoying a nice breakfast of blueberries with yoghurt. Healthy and refreshing , and tastes lovely too. And easy to make, which is extremely important when energy is limited. And they say blueberries are a superfood. Hoping for some super effects . . . !